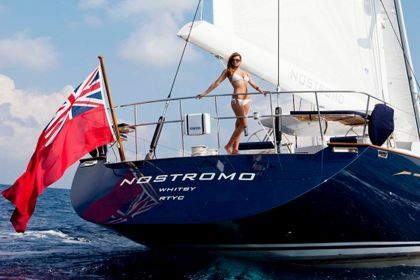 Built by the renowned Pendennis Shipyard in collaboration with Dubois Yachts, her experienced owner's aspirations were achieved when NOSTROMO was launched in Falmouth, England in 2009. 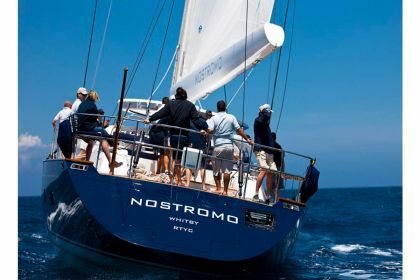 NOSTROMO delivers what every discerning sailor expects - Performance, Function, Style and Comfort. 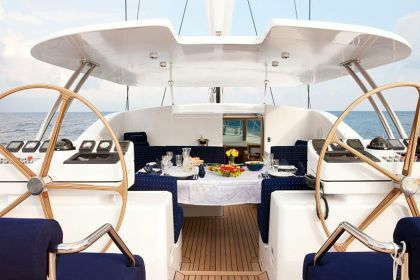 Four cabins accommodate up to eight guests, alongside an elegant saloon, large cockpit and huge deck space, making Nostromo a family-friendly superyacht. 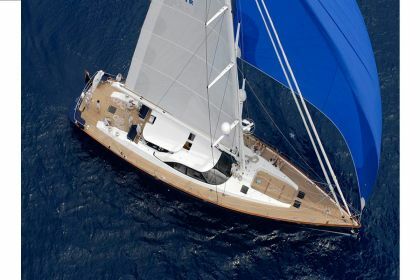 Nostromo’s hull and rig are designed expressly for high performance under sail. 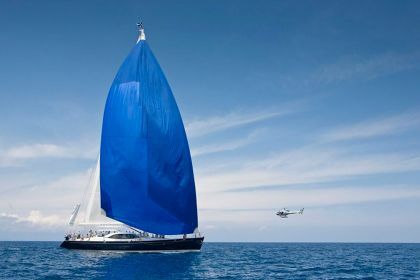 Nostromo is equally at home under sail or power. 4.4m Williams jet tender 100hp, seats 6-7 people. 1 x jetsurf, 1 x adult wake board, 1 x child wake board, 1 x 3 person air bed. 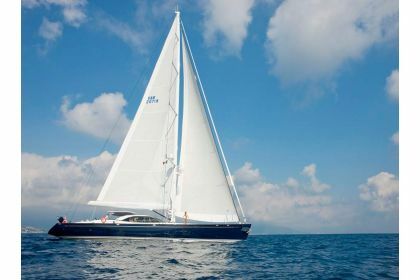 Waterskies, Donut, Snorkelling gear, Water access on starboard side and also aft. 2 bikes on board, 2 stand up paddling boards, 2 person canoe. 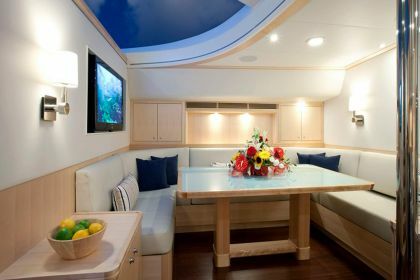 Sky Plus and HD in the saloon and all cabins besides the single cabin. 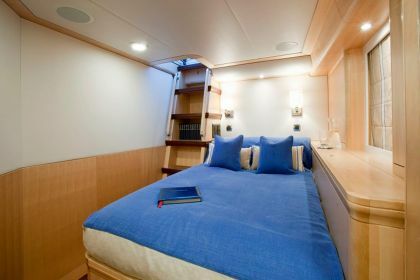 Broadband facilities, Blue Ray player in the saloon, DVD players and Ipod docks are available in all the cabins besides the single cabin,- Ipod dock in the cockpit. Comfortable al fresco dining for 9-10 adults,11-12 if with children. SATCOM C (Inmarsat C), GPS, VHF, Fleet Broadband.